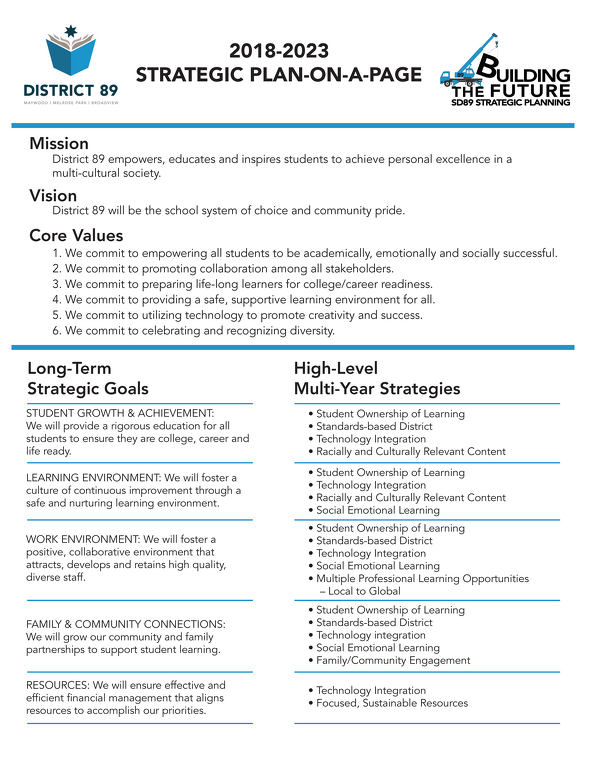 This academic year our district embarked on a journey to develop a comprehensive Strategic Plan for the district. We started by developing a Strategic Planning Committee that represented every school and every community in our district. In addition, we held community engagement forums and surveys to obtain additional feedback and direction. In all we had hundreds of individuals involved throughout the strategic planning process. As a result our Board of Education approved our new comprehensive Strategic Plan at our June 2018 Board Meeting. The following Plan was developed after several months of hard work and feedback.